Greetings, Dear Colleagues in Ministry. There is a ground-swell of activity being initiated by young people in the wake of the horrific Ash Wednesday shooting at Marjory Stoneman Douglas High School. On Saturday, March 24, rallies will be held in Washington, D.C., Indianapolis, and many other US cities to demand action in the face of an ongoing epidemic of gun violence. I suspect, along with many others, that this is a critical moment in our national dialogue, so with the blessing of Bishop Sparks, I began investigating the possibility of coordinating participation from our Diocese in these rallies, particularly - but not exclusively - among Senior High youth and young adults. I feel compelled to say - at the risk of preaching - that while we tend to debate our epidemic of violence as a gun issue along well-trod partisan lines, I believe violence is a profoundly human problem that is exponentially exacerbated by guns. That's a thornier conversation, to be sure, but avoidance of it is killing our children, and countless more besides. There are no easy answers or simple solutions - regardless of how many memes pop up on Facebook suggesting otherwise - and the full spectrum of opinions on the nature of the problem and what should be done about it is likely present in every one of our congregations. But in this moment I simply ask who, if not the Church, is called to stand with those whose hearts are inclined to keep the law "Thou shalt do no murder" as a fundamental tenet of our society? Our presence, our witness as disciples of Jesus, is monumentally important. Washington, D.C. - Register here. Dean Brian Grantz invites Northern Indiana Episcopalians to rally in Washington DC on Saturday, March 24, 2018. 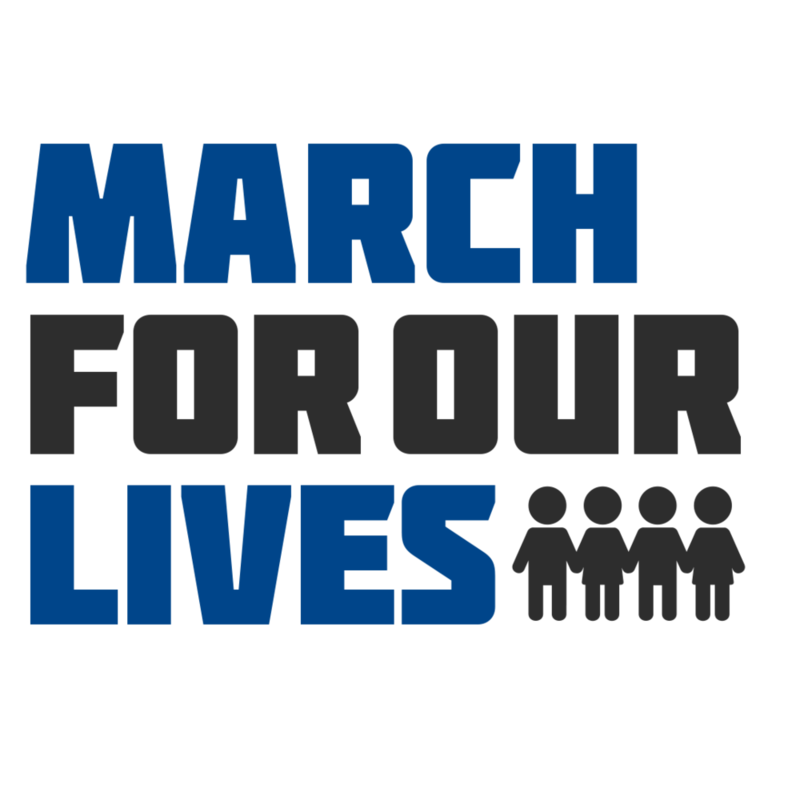 Interested high school students, young adults, and others are invited to stand with the youth of our nation against an epidemic of gun violence. We will depart from South Bend at 7 am on Friday, March 23, making stops along the toll road in Elkhart and Angola as necessary to gather our group. We will arrive in Washington in time for a prayer service on Friday evening at Washington National Cathedral, then go off to churches and hotels (as the group decides) for overnight accommodations. We will attend the rally in Washington, then follow a group-determined itinerary for our overnight stay, Palm Sunday worship, and return home on Sunday. Space is limited. Please register through Eventbrite so we may determine interest in traveling to Washington. Questions? Contact Dean Brian Grantz at dean@stjamessouthbend.org. Bishop Doug & Dana Sparks, Bishop Jennifer Baskerville-Burrows of Indianapolis, and Bishop Bill Gafkjen of the Indiana-Kentucky Synod of the ELCA invited all interested Episcopalians, Lutherans, and friends to the March for Our Lives rally in Indianapolis on Saturday, March 24, 2018. Northern Indiana faith communities may organize groups or encourage individuals to stand with the youth of our nation against an epidemic of gun violence. We will gather at St. Andrew Church, Kokomo for pre-event prayers and ride sharing coordination at 7:30 am before departing for Indianapolis at 8:30 am. Overnight accommodation is available upon request at St. Andrew Church or at local hotels in Kokomo. Please register participants through Eventbrite so we may coordinate our presence at the rally. Questions? Contact Mrs. Tracy Rose-Love at edninmarchindy@yahoo.com. Thank you so much for your leadership and ministry.